To upload a spreadsheet to your guest list, click the up arrow cloud icon that says "Upload your Guest list". Make sure that your spreadsheet matches the template that you can download on that same page. To download our template from the editor, please click on "download the Appy Couple CSV Template ile" shown in the screenshot. Make sure the spreadsheet is saved as a .csv file. NOTE: Please make sure you do not alter the headings on the spreadsheet. For example, do not change "First Name" (Column A) to any other name such as "First." Even a change this small will affect the uploading of your spreadsheet All you need to do is add in your guests information and you will be ready to upload your guest list! You can also export your entire guest list on that page by clicking the "Download"down arrow cloud icon. To export individual RSVP views, go to the RSVP section, select your view, and click the "Download" cloud icon on the right hand side of each event. 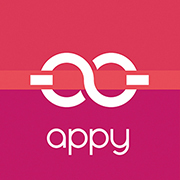 NOTE: Appy Couple does not use any guest information uploaded to your guest list.